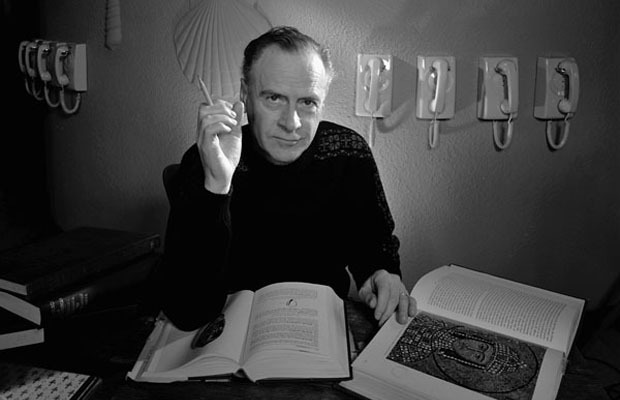 Herbert Marshall McLuhan was born on July 21, 1911 in Edmonton, Alberta to Elsie Naomi and Herbert Ernest McLuhan. After his father left the army, the family settled in Winnipeg, Manitoba where McLuhan attended the Kelvin Technical School. As a child, he was not spectacular in academics, however growing up he developed a profound interest in literature and subsequently graduated from the University of Manitoba where he got a degree in English and Philosophy. After earning master’s degree, he left for Cambridge from where he obtained his Ph.D. in literature. After teaching in many universities in America, McLuhan finally found himself back in Toronto where he started teaching in the University of Toronto and later set up the Center for Culture and Technology which is a think tank for studying and analyzing the social and psychological effects of media and technology. It was here that he met people like Harold Innis and Pierre Teilhard de Chardin who helped him to formulate his famous concept about media being responsible for shaping civilization. According to McLuhan, the media has considerable part in the way humans frame their perceptions which in turn shapes how they will interact with each other and the environment. The media manipulates the sensory balance of people, by giving preference to one sense over the other and thus invokes the desired response in individuals. In 1951, he wrote, “The Mechanical Bride: Folklore of Industrial Man” in which he tried to demonstrate how ideologies are invisible and therefore influential, and are embedded in the structure of popular culture. According to him, pictures of mechanical technology dictate popular consciousness which results in humans becoming mechanical and instrumental entities. He followed this theme with his following publications, “Understanding The Media” in 1964 and “The Medium is the Message” in 1967, when he argued that the inner consequences of their behavior is far more important to analyze the way in which an individual gets influenced by the media, rather than the message which is being transmitted by media. According to him, technologies determine the way human mind processes and stores information, which leads to people becoming more inclined towards a particular thing over another. However different technologies affect people differently. He drew a distinction between “hot and cool” media. “Hot media” distributes high definition information, which does not rely on efforts of the receiver; however “cool media” distributes very little information, hence making the receiver want to fill in the missing gaps himself in order to fully comprehend the message. He classified television and computers as part of “cool media”. Another reason why Marshall Mcluhan is so famous for is that he predicted the effects of World Wide Web 30 years before it happened. He is credited with coining the term, “Global Village” and was more concerned with its negative consequences which he thought resulted into loss of individuality, identity and privacy. He passed away in 1980 but left behind a huge legacy of lifelong work. He has won numerous awards and honors for his work, which is still deeply revered in the academic circles.